Here you can find information about our lab, the research facilities, the medical center, the university, and our city. Our BSL2-labsuite consists of rooms for cell- and bacteria culture, RNA biology, microscopy, and standard molecular biology/biochemistry. It contains equipment for next-generation sequencing, Taqman® low density arrays, flow cytometry, Luminex® bead arrays, ion-mobility spectrometry, fluorescence video-microscopy, RT-PCR, qPCR, Western blot, colorimetric and fluorimetric assays. In addition, we have access to a robotic platform with automated microscopy and a multi-target reader, and the clinical pulmonological laboratory. The lab is located in a state-of-the-art biomedical research center with labs and animal facilities from BSL1 to BSL4 (SARS, Ebola etc.). It provides core units for FACS-sorting, electron microscopy, radionuclide work, small animal imaging (MRT), as well as conference and teaching suits. 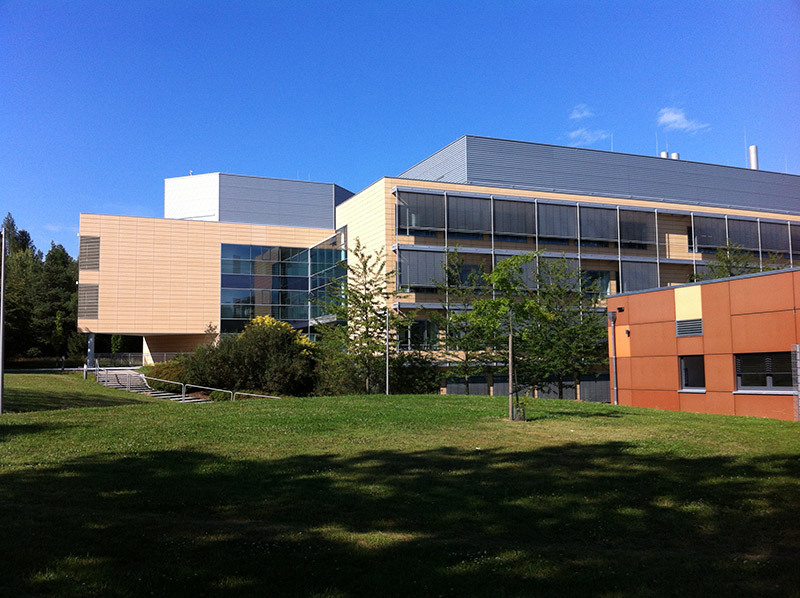 Our neighbours are the institutes for immunology, microbiology, and virology, and a newly constructed building with cores for life-cell microscopy, and the genomics unit with an RNAi-screening platform. Marburg University houses LOEWE centers for lung research (UGMLC), and synthetic microbiology (Synmikro), collaborative research centers for allergy and asthma (SFB/TR22), pneumonia (SFB/TR84), cancer (SFB/TR17), chromatin regulation (SFB/TR81), as well as cell- (SFB593) and microbiology (SFB987). It is member of the German Centers for Lung Research (DZL) and Infection Research (DZIF). There is a strong research alliance with the University of Giessen, the Technical University of Hesse, and the Max Planck Institutes for Heart and Lung Research (Bad Nauheim) and Terrestrial Microbiology (Marburg). UKGM Medical Center is one of the biggest academic hospitals in Germany with two sites, in Giessen and in Marburg, all medical sub-specialities, and a strong health care system, including Kerckhoff Clinic in Bad Nauheim and many community hospitals covering the whole area. Pulmonary services within the Universities of Giessen and Marburg Lung Center comprise a broad spectrum of inpatient and outpatient facilities as well as clinical research, including neonatal intensive care, a successful lung transplant programme, an ARDS treatment center, and special clinics for cystic fibrosis, alpha1-antitrypsin-deficiancy, (pediatric) allergology, COPD, asthma, sleep medicine etc. The Philipps-University (named after Philipp I, Landgrave of Hesse), was founded in 1527, and is the oldest protestantic university that still exists today. Most old university buildings are located in the city center near the river Lahn, such as the aula and the university church, and many institutes are still hosted in historic buildings. 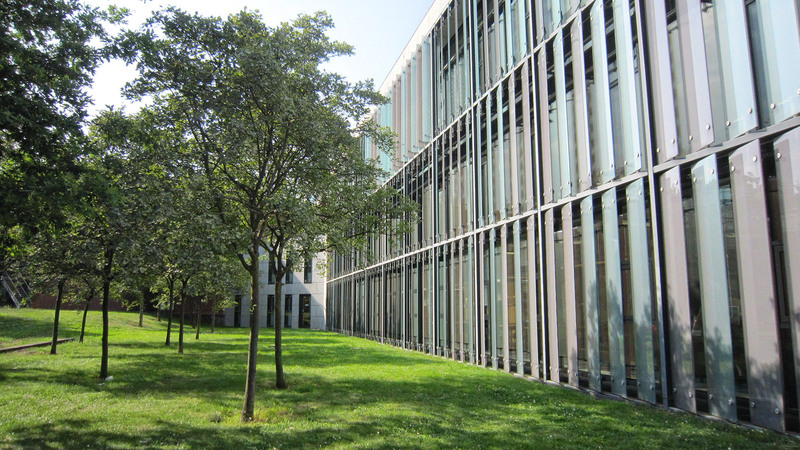 A new campus on the Lahnberge houses the faculties for Chemistry, Biology, Medicine, Mathematics & Informatics, the University Medical Center, the new botanical garden, as well as the Max-Planck-Institute for Terrestrial Microbiology. It is still being extended, e.g. with the Center for Cancer and Inflammation (2013) and the Center for Synthetic Microbiology (2014). The Philipps-University offers a broad spectrum of disciplines with a focus on medicine and natural sciences, where it is represented by strong research and great reputation. Only two of many important and famous Marburg researchers are Emil von Behring (first Nobel Laureat in 1901), and Ferdinand Braun (Nobel Price Winner for Physics). In the Humanities, the “Marburg school” of Newkantianism proposed by Hermann Cohen and Paul Natorp has achieved fame among philosophers. Hans-Georg Gadamer and Martin Heidegger were professors for philosophy in Marburg. At the moment, the university hosts six Collaborative Research Centers, four Graduate Schools, as well as excellent research facilities and equipment. Marburg is a traditional city with a medieval city centre near the river Lahn. Much worth visiting are the Church of St. Elizabeth, the Landgrave Castle, or simply the old town with the historic marketplace. 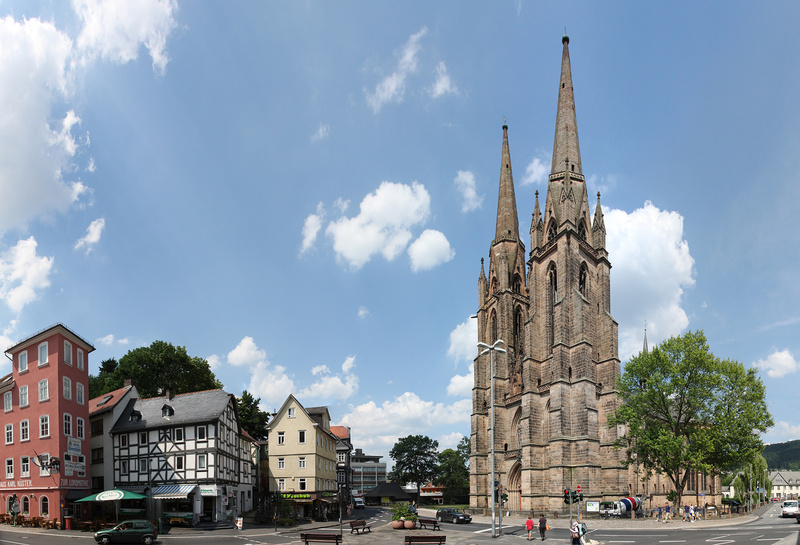 Many historic buildings, museums and institutions are located not afar and can be visited; additionally, Marburg hosts some unique institutions such as the Herder Institute for Eastern European Research or the Research Center German Linguistic Atlas. But also for leisure activities, Marburg offers a lot in a lively, young cultural scene with theatres, art exhibitions, readings and lectures.